No touchy-feely paean to the joys of adopting, Hicks's book is a nuts-and-bolts, practical guide to the entire process of adopting a child. 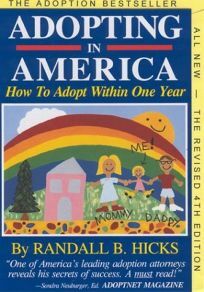 Hicks, an adoption attorney, begins by debunking the myth that an adoption agency is necessary, reminding readers of the 11 other ways they can adopt, whether through public or county adoption agencies, independent adoption or numerous other routes. His educational and empowering book goes on to explain how adoptive parents should select a method of adoption, quickly locate a baby for adoption, arrange a successful adoption (including working with a birth mother and handling the initial meeting), and handle medical and legal issues. Hicks ends with a state-by-state review of adoption, where he provides each state's laws and procedures (they vary widely). The author is able to present no-nonsense, matter-of-fact advice while using a compassionate approach that will bolster the confidence of parents who seek to adopt.